The Retell, Remix and Rejoice Contest from Pratham Books is on! This year we changed things around a bit, and gave our community themes to weave some story magic around. You can read more about this here. 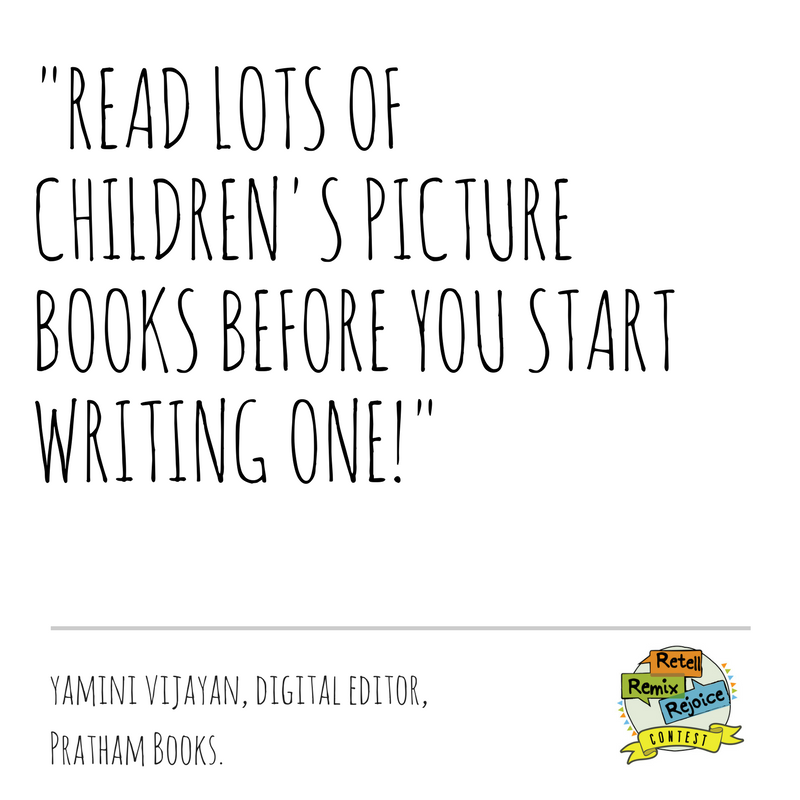 We thought the story weavers who are taking part this year might like some advice from our seasoned editors at Pratham Books on what to keep in mind when writing books for our very youngest readers! When you're writing a Pratham Books Level 1 book, stick to one idea. Be descriptive! 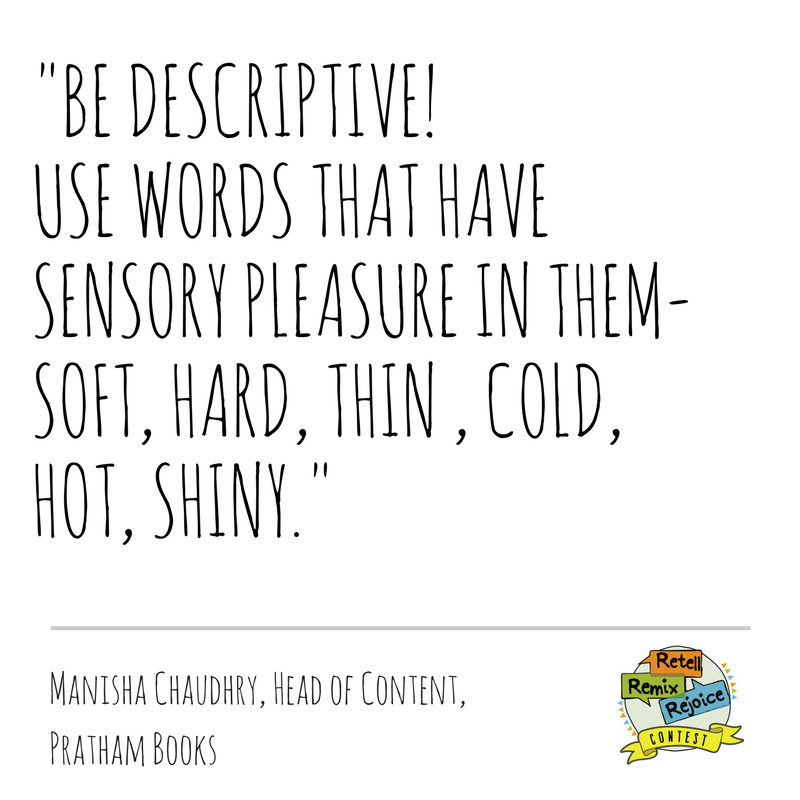 Use words that have sensory pleasure in them - soft, hard, thin, cold, hot, shiny etc. 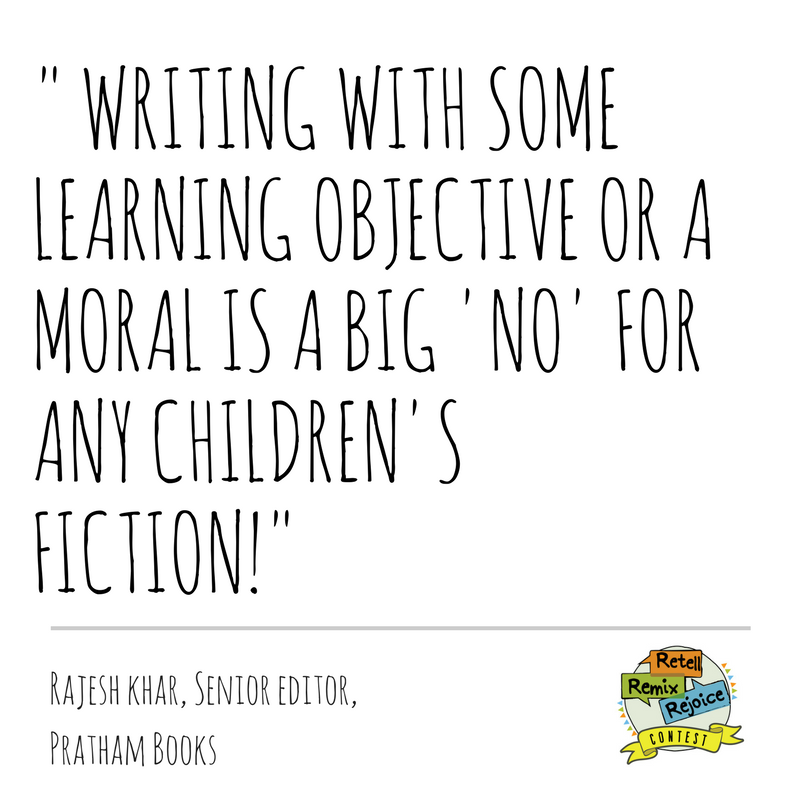 Writing with some learning objective or a moral is a big No for any children's fiction. A story can be woven around an idea but the learning has to be embedded in the story itself in a subtle manner just like an subconscious outcome, not open and blunt. The story must not have any biases and prejudices and should also steer clear of the stereotyped characters, settings and nuances. 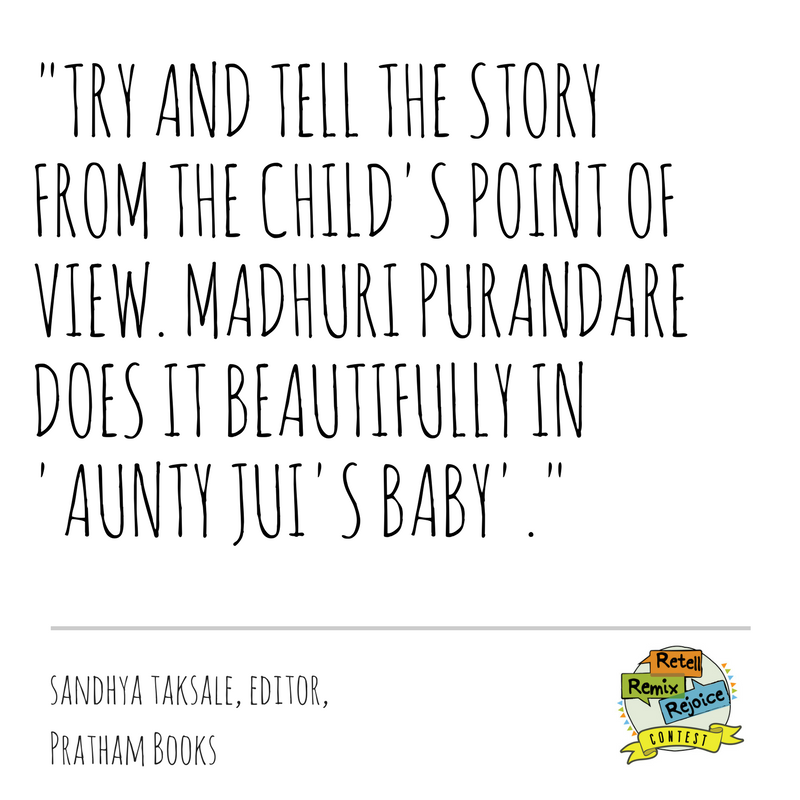 Madhuri Purandare's 'Aunt Jui's Baby' perfectly embodies what my colleague Rajesh is saying. 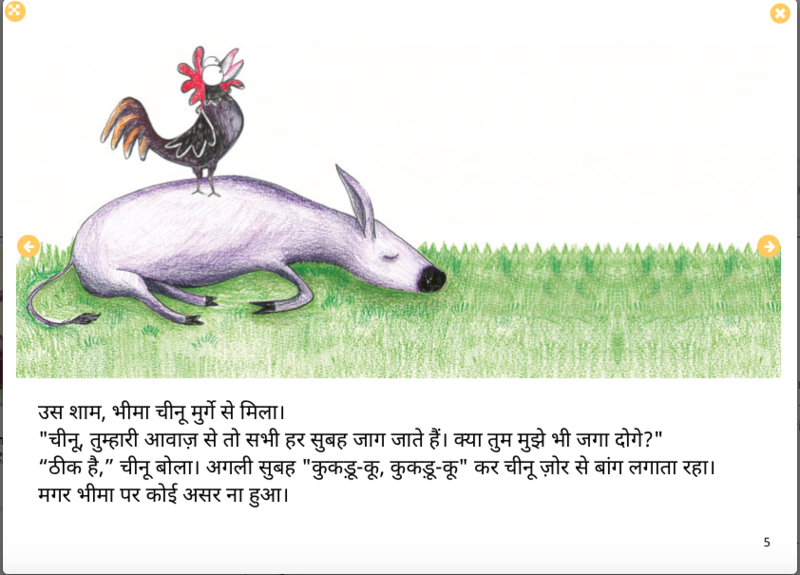 The learning is embedded in the story in a subtle manner and the narration is also from the child's point of view. 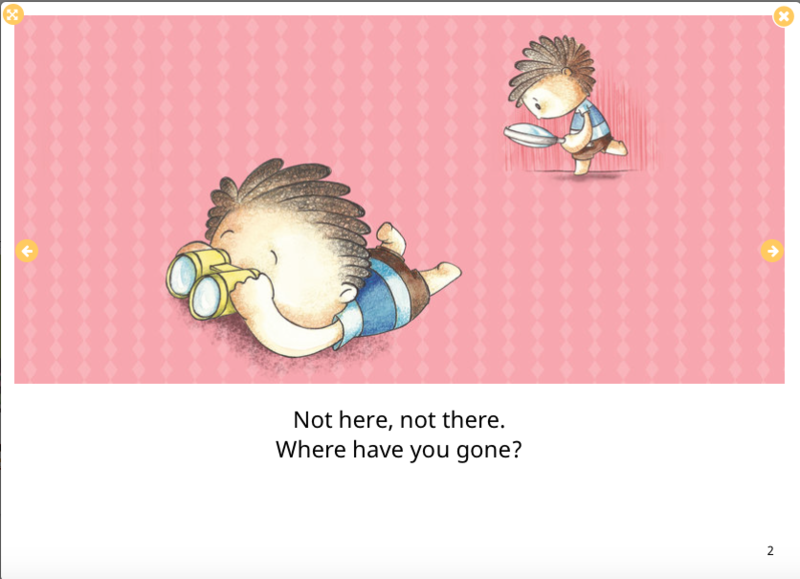 Here is Sandhya's pick of level 1 and 2 books! Repetition and patterns work very well with early readers. "Will you be my friend?" "Are you my mother?" are examples.. It's important for writers to expose themselves to as many picture books as possible. Reading is important! 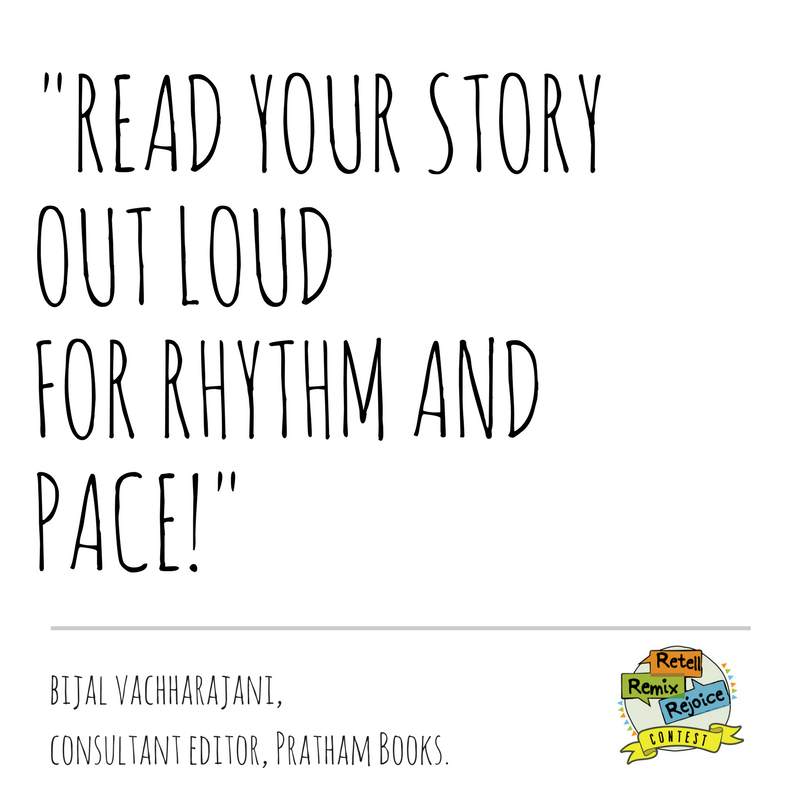 Read your story out loud for rhythm and pace. Ask for feedback. Listen to feedback. Edit ruthlessly. And then edit some more. Read many books, and then read some more. Read what you like, read what you don't. Become a fierce critic of yourself. Remember when you are writing for children, you need to pull up your socks and give it your best. They will never settle for less. Pratham Books Retell, Remix and Rejoice 2017 is here! My body: Parts of the body, sensations, growing up.. Take a look at Rohini Nilekani’s ‘Listen to my Body’. My friends: Games we play, sharing, fighting, making up, being fair. Have you read ‘मेरा घर’ by Rukmini Banerjee. Travel: Using modes of transport in stories, visiting new places and culture, etc. Check out 'My Car' by Phidi Pulu. People around us: My teachers, shopkeepers, drivers, fruit-sellers, ice-cream wala, the gardener, mechanic, etc. Here's 'Phani's Slippers' by Sridala Swamy. The world around me: Weather, nature, seasons, trees and flowers, every day science Have you read 'The Red Raincoat' by Kiran Kasturia. At Pratham Books we link levels to the child’s reading development, since we know 10-year-olds who are most comfortable with a Level 1 story, as well as 6-year-olds who can read Level 3 stories effortlessly. This happens across languages, too, as kids have different fluencies in different languages. This year we’re asking you to be as creative as you can and convey as much as you can - using as few words as possible. Use our reading level guidelines as you create them. Contest ends on April 30, 2017. All stories submitted must be your original work. Stories must be in English, Hindi, Kannada, Tamil or Marathi. By submitting your work to Retell, Remix and Rejoice 2017, you are agreeing to a CC-BY license being applied to it (This license lets others distribute, remix, tweak, and build upon your work, even commercially, as long as they credit you for the original creation). To know more about CC-BY, click here. While we encourage participation from all countries, prizes shall be couriered only within India. Here’s a quick video tutorial on how to create stories on StoryWeaver. The three best manuscripts will receive detailed feedback from our Senior Editors at Pratham Books. One of the finalist entries will be chosen for re-illustration by a children’s book illustrator.